Alan D. Danz is founder and Managing Partner of Danz Law, PLLC, a boutique law firm for labor and employment matters. Mr. Danz is AV Peer Review Rated, Martindale-Hubbell’s highest peer recognition for ethical standards and legal ability. He has been recognized in Florida Trend’s Florida Legal Elite as one of the top 1.6% of attorneys in Florida named year after year by his peers. He has also been consistently named a Super Lawyer for the last several years. Before attending law school at the University of Miami, Mr. Danz obtained his Ph.D. in auditory physiology and vestibular disorders and then created the largest privately held hearing health care business in the United States. Ultimately, the business was sold to a publicly-traded company, HEARX, with operations throughout the nation. The sale allowed Mr. Danz to pursue his ambitions of becoming a trial attorney. Mr. Danz concentrates his practice in the representation of employers, both private and public-sector, in labor and employment law matters. He has routinely defended employers in state and federal courts and before such administrative agencies as the Equal Employment Opportunity Commission, the National Labor Relations Board, the Florida Commission on Human Relations, the Broward County Human Rights Division, and other state and local administrative agencies. Mr. Danz acted as an employment litigation consultant to ANC Rental Corporation (the then parent company of Alamo Rent-A-Car and National Car Rental) and directed, among other things, outside counsel in hundreds of employment cases against the company. He was responsible for litigation and settlement strategies and for reviewing and controlling the attorneys’ fees and costs associated with such cases. Mr. Danz is a Florida Supreme Court Certified Circuit Civil Mediator. 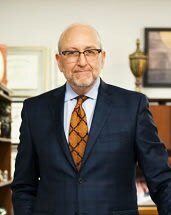 Based on his vast experience litigating employment matters, he specializes in mediating employment law disputes. Mr. Danz lectures extensively to professional and municipal organizations regarding employment and litigation issues and counsels companies regarding employment litigation and claims exposure. Speaker, Sexual Harassment in the Workplace, Paralegal Association of Florida, Inc.